Patients experiencing a high level of stress in their personal or professional life often fall prey to the body’s response to stress, which includes shutting down or dramatically slowing hormone production. Dr. Jack Monaco at Nashville Hormone & Integrative Medicine in Nashville, Tennessee helps patients find their healthiest selves through natural means like nutritional changes, supplements, and bioidentical hormone replacement therapy. How does stress impact the body? Patients who are under a high level of stress (have experienced a death in the family, are caring for a loved one, or have a highly stressful job, for example) often find that their stressful lifestyle is accompanied by extreme and debilitating fatigue and sometimes even depression-like symptoms. This is because when under stress, key hormone production in the adrenal glands declines, starving the body of the hormones it needs to function at its best. What role do bioidentical hormones play in stress management? Hormones play a critical role in every aspect of health and well-being; they have the power to regulate temperature, mood, metabolism, heart rate and more, and the power to both increase and decrease risk of serious disease. When the body is under stress (or naturally due to age), hormone production decreases, wreaking havoc on the patient and inhibiting their ability to enjoy life. Bioidentical hormone replacement therapy, also known as BHRT, is a natural, safe, and effective way to balance hormone levels throughout the body. 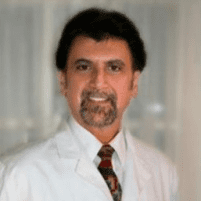 What kind of doctor addresses hormone imbalance in the body? A regenerative medicine doctor is trained and experienced in screening for hormonal imbalances, identifying the safest solution, and monitoring the patient for progress and setbacks throughout the treatment period. Qualified regenerative medicine doctors are Fellowship trained, board certified, and experienced with a positive track record. What treatment is available for stress-related hormonal imbalances? Stress-related hormonal imbalance is typically the result of adrenal fatigue. In this case, treatment can range from simple nutritional changes to supplements or bioidentical hormone replacement therapy. Most patients require a combination of dietary changes and supplements, or in severe cases, dietary changes, supplements, and BHRT. How long does it take to feel better? The recovery time depends solely on the severity of the renal insufficiency and the patient’s compliance with the treatment regimen. Unfortunately, many patients start their journey with traditional doctors and don’t find the cause of their fatigue until they see a regenerative medicine doctor, often weeks or months later. In these cases, it can take longer to balance hormones and produce the desired improvement. Most patients start to feel better a few weeks after treatment and are fully recovered within a few months.